Hello and welcome to my web page. My name is Liz Unruh and I am a transplant from upstate New York: Colorado has been my home since 1992. I earned a Bachelors degree in Psychology from the State University of New York at Potsdam in 1992 and a Masters degree in Counseling from Denver Seminary in 1997. 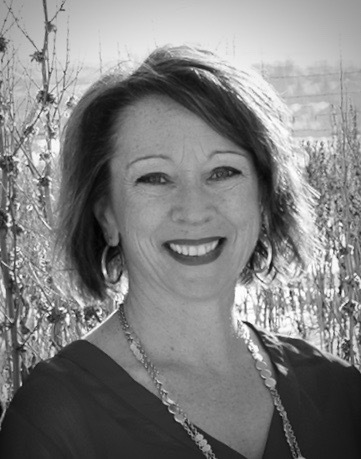 I am a Licensed Professional Counselor in the state of Colorado, a National Board Certified Counselor and a Certified Clinical Trauma Professional. My faith in Jesus is important to me and I incorporate this in with my work with clients while respecting each individual's personal faith beliefs. I aim to incorporate hope into the counseling process and I strive to create a healing space that combines kind consideration with challenge. Religious disillusionment and spiritual direction. I believe individuals are each unique and therefore not one modality of therapy is appropriate for everyone. I utilize elements of Cognitive Behavioral Therapy, Client Centered Therapy, Brief Solution Focused Therapy, Tapping, Brainspotting and EMDR (Eye Movement Desensitization and Reprocessing)* in my work with clients. I also have been trained in both Level 1 and Level 2 of the Gottman Method Couples Therapy. My husband and I have been been married for over 20 years and we have been blessed with two sons. When I am not in the office or attending a sporting event, I enjoy our Golden Retrievers, gardening, cooking, physical fitness and road biking. * EMDR is a method of psychotherapy that has been widely researched as an effective method of treatment for trauma, post-traumatic stress disorder (PTSD), and disturbing memories. EMDR can also be effective in the treating anxiety and depression as well. EMDR is an integrative psychotherapeutic approach that assists an individual to process memories and promote emotional healing. EMDR has been recognized by both the American Psychiatric Association and the United States Department of Defense as an effective form of treatment for trauma. You may find out more about EMDR at http://www.emdr.com/general-information/what-is-emdr.html.